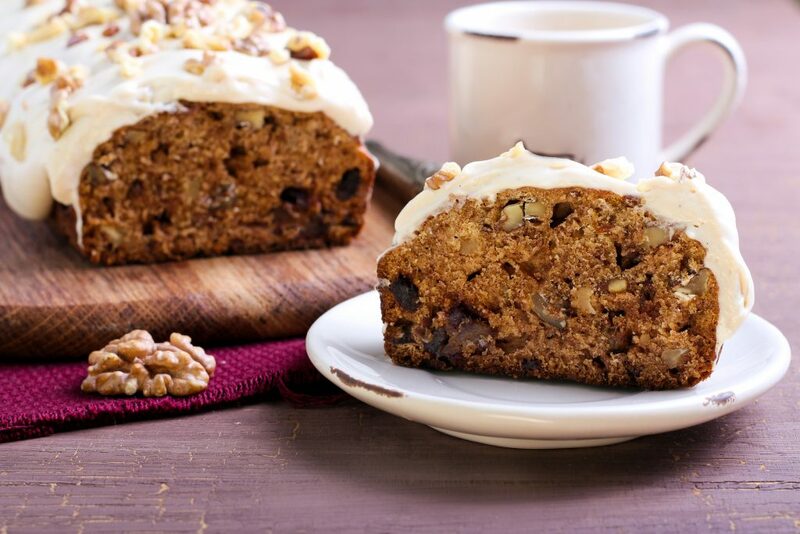 This vegan pumpkin walnut loaf with spiced butter cream is the perfect Thanksgiving party pleaser. Savoury, sweet and spicy all rolled into one - this cake will leave everyone coming back for seconds! Ingredients: 1 cup canned pumpkin 3 tbsp pure maple syrup 3/4 cup coconut sugar 1/3 cup coconut oil, softened 1/4 cup blackstrap molasses Chia egg (1 tbsp chia + 3 tbsp water) 1 2/3 cups unbleached all-purpose flour 1 1/4 tsp baking soda 2 tsp pumpkin pie spice (OR 1 tsp cinnamon, 1/2 tsp nutmeg, 1/2 tsp ginger) 1 tsp sea salt 1 tsp baking powder 1/8 th tsp ground cloves 1 cup toasted chopped walnuts Directions: Preheat oven to 350 F. Line a regular sized loaf pan with parchment paper and lightly oil on top. Toast the walnuts on a baking sheet for about 10-12 minutes until golden. Remove from oven and set aside. Combine the following ingredients (pumpkin, maple syrup, sugar, coconut oil, molasses, chia egg) in a medium-sized mixing bowl and blend well. In a large bowl, combine the dry ingredients. Add the wet mixture to the dry, and stir well. Stir in 1/2 cup of the toasted nuts and reserve the other half for later. Pour the batter into the pan, smooth out with wet spoon, and bake for 50-60 minutes or until an inserted toothpick comes out clean. Allow to cool before removing from pan. 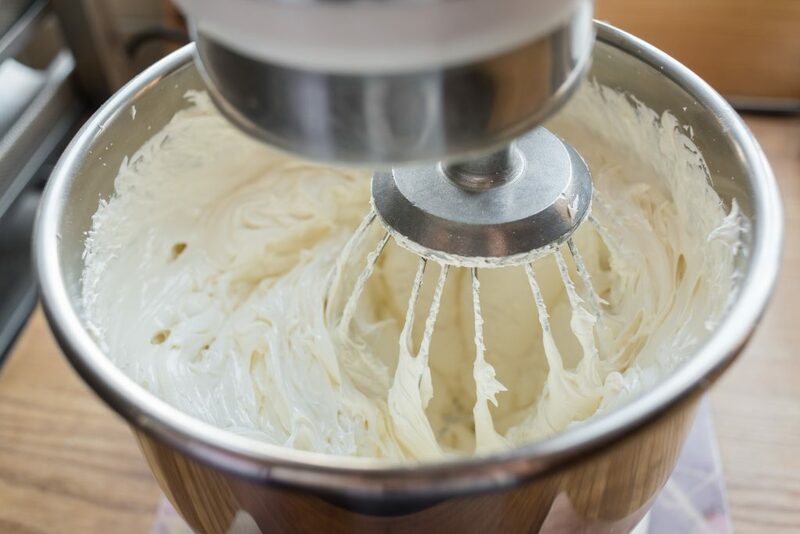 While it is baking, make your spiced buttercream frosting (see below). Serves eight 1-inch slices. Spiced Buttercream Frosting Ingredients: 1/2 cup vegan butter or coconut oil, softened 1 3/4 cup icing sugar - (Or for a healthier alternative, you can simulate this powdered sugar with, 1 cup of coconut sugar and 1 tsp of cornstarch for every 1 cup of powdered sugar needed, and grind them in a blender. Make sure to use a blender, because a food processor won't work for this.) 1 tsp pure vanilla extract 1 tbsp pumpkin pie spice (Yes tablespoon!) 1 tbsp almond milk (as needed to thin out to desired consistency) Directions: Whip the vegan butter with a mixer until smooth. Add half of the icing sugar and blend well, stopping to scrape the side of bowl as needed. Add in the vanilla, pumpkin pie spice, and almond milk (if needed). Mix well. Add in the remaining icing sugar and blend for several minutes, stopping to scrape the sides of the bowl. Once the Gingerbread has fully cooled, spread on the icing using a wet spatula. Sprinkle the remaining chopped toasted walnuts on top and serve.